Can Ghosts Talk To Each Other Or Communicate In Some Way? Have you ever wondered if ghosts can communicate with each other? Are they aware of each other's presence? Are they even able to see each other? In the Harry Potter books the ghosts of Hogwarts all know one another and even attend parties together, but how close to real life is this? It's not uncommon to hear about a castle or any other building which is haunted by multiple spirits, there are even some examples of EVP recordings which appear to have captured two ghosts talking back and forth to one another. So, there is basis for this theory, but to discuss this question further we need to leap to the assumption that ghosts exist but there's a few other questions we need to think about too. Are ghosts aware of one another? 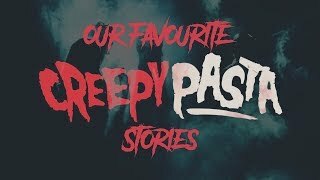 Can spirits from different time periods interact with each other? Can an intelligent haunting see a residual haunting? There's two ways of looking at this, the first is that ghosts are the conscious spirits of the dead. This type of ghost is known as an "intelligent haunting", they are self aware and aware of their surroundings. They are also aware of the living and attempt to contact them by moving objects, whispering and making noises. However, it's very rare for a spirit to manifest as an apparition and have a full conversation with someone. Clearly most ghost don't have the energy or strength to communicate with the living in any sustained manner. So, for a ghost to communicate with another ghost, would they need to muster up the same amount of energy as they would to talk to a human or would a fellow ghost be more susceptible to this lower level of psychic energy? It's possible that a fellow ghost could actually be less susceptible to the energy of another ghost, after all they are weaker in nature, able only to move small objects on occasions. At the very least they could do 'one knock for "yes" and two knocks for "no"' with each other. The second case is what's known as a "residual haunting," this is where the psychic energy of a ghost is trapped in its surroundings due to a traumatic or emotional event, this energy can then be released and "replayed" on the anniversary of the event, when the atmospheric condition are the same, or to someone who is open to these kinds of psychic energies. 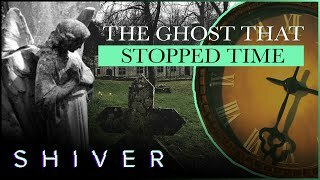 In this case the observer is witnessing nothing more than a reflection of the past, the ghost is not aware of its existence and has no sentient thought and therefore isn't capable of talking or communicating. Let's assume that ghosts can communicate with one another, perhaps a couple who died in a car crash together might come back as spirits together but what about deaths which are separated by hundreds of years? If ghosts and haunting are a form of psychic energy then it's possible that energies differ according to the time of death, the location or even the individual who passed on. It's likely to be the case that these different frequencies of psi-energy can't interact or influence each other. On this assumption, it's unlikely that ghosts of different eras are aware of each other, but if psychic energy happens to be of a universal frequency, then perhaps any spirit has the ability to see, hear and interact with any other. The living are sometimes able to see apparitions which are caused by psychic energies of the dead being trapped in the stone, wood or even the ground at the place where they died or where an emotional event in their life occurred, this is known as a residual haunting. This kind of haunting becomes visible when the conditions match those at the time of the event or when a the witness is susceptible or "in tune" with the haunting's energy frequency. An intelligent haunting however is the sentient spirit of the dead, they're said to be aware of their surroundings so can they also witness a residual haunting? This really would depend on whether a spirit can pick up on psychic energies, after all they no longer have a psychical form so their other senses may be diminished. For example they may not be able to touch, taste, smell, see or feel temperature changes, so they may not be able to pick up on psi-energy. Another thing to consider here is whether ghosts know they're dead themselves and if they see a ghost, can they tell that the ghosts they encounter are nothing more than spirits? Perhaps they do and in a haunted castle have a shift rotation to keep the ghost hunters entertained 24/7. These are all questions that we'll probably never know the answer to, not until someone gets the scoop on the headless horseman anyway.